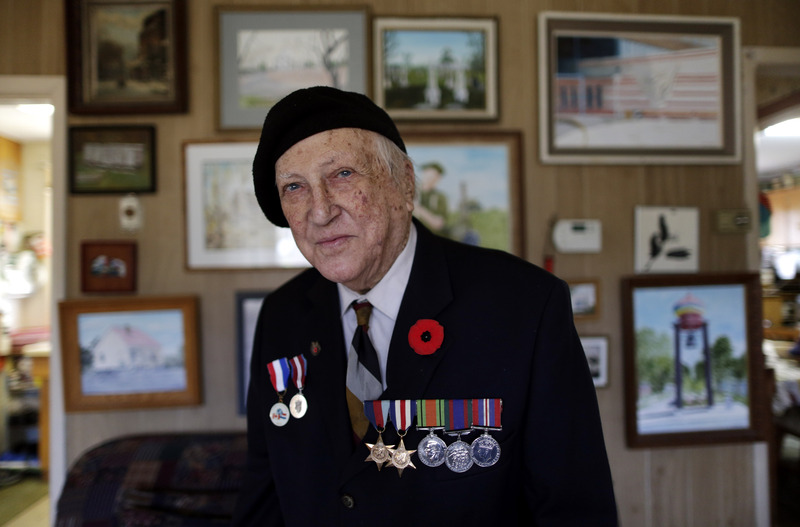 World War ll veteran, 92 year old Len Van Roon, who landed on Juno Beach during D-Day as twenty year old, stands in the living room of his home in Winnipeg Manitoba, Canada, November 6. 2014. Lyle Stafford for the Globe and Mail.